Ayushman Bharat National Health Protection Mission (AB-NHPM) Approved by Central Govt. 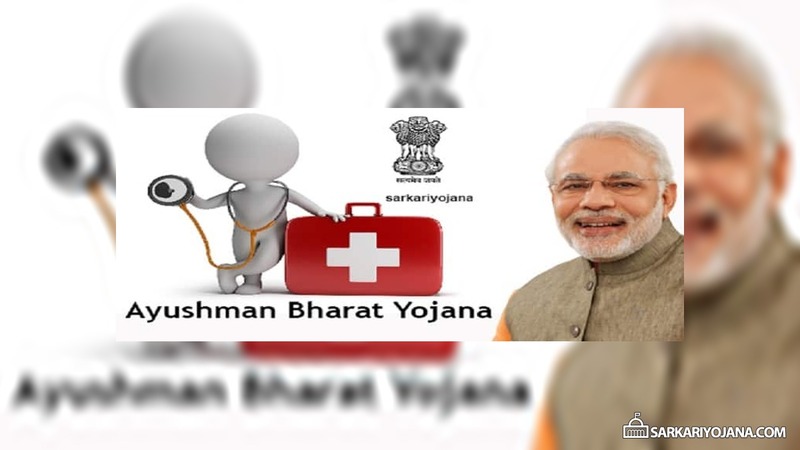 Cabinet Committee of Central government has approved the launch of Ayushman Bharat National Health Protection Mission (AB-NHPM). National Health Protection Scheme has the benefit cover of Rs. 5 lakh per family per year. This Centrally sponsored scheme will cover all the secondary care and most tertiary care procedures. AB-NHPM will subsume the ongoing centrally sponsored schemes Rashtriya Swasthya Bima Yojana (RSBY) and Senior Citizen Health Insurance Scheme. Beneficiaries will be allowed to take cashless benefits from any Public / Private empanelled hospitals. Central govt. will provide payment on Package Rate basis. Package Rates will include all the costs associated with treatment. It will be a cashless, paperless transaction for beneficiaries. See List of Services at Health and Wellness Centres. Latest Update – Check Ayushman Bharat List of Indian Hospitals to find PMJAY empanelled hospitals. To ensure that nobody is left out, there will be no cap on the family size and age in this scheme. The benefit cover will also include pre and post-hospitalization benefits. AB-NHPM will have a defined benefit cover of Rs. 5 Lakh per year per household. NHPS benefits are portable across the country. Beneficiaries can avail benefits in both Public and Private empanelled facilities. Under this Ayushman Bharat Scheme, govt. will make payment for treatment on “Package Rate Basis”. All the treatment cost will get included in Package Rates. Ayushman Bharat Scheme is a Mega Health Insurance Scheme which will cover 10 crore families which includes around 50 crore people. Cabinet Committee has made the following decisions to successfully implement the Ayushman Bharat Scheme. One of the core principles of AB-NHPM is Co-operative Federalism and Flexibility to states. There is a provision to partner the states through co-alliance. Under AB-NHPM, states will be free to choose the modalities for implementation. States can implement through Insurance Company or directly through Trust / Society or a Mixed Model. For giving policy directions and fostering coordination between Centre and States, cabinet committee proposed to setup Ayushman Bharat National Health Protection Mission Council (AB-NHPMC) at apex level chaired by Union Health and Family Welfare Minister. State would need to have State Health Agency (SHA) to implement the scheme. In partnership with NITI Aayog, a robust, modular, scalable and Inter-operable IT Platform will become operational which will entail a paperless and cashless transaction. AB-NHPM will get rolled out in all States / UTs in all districts with an objective to cover all targeted beneficiaries. NHPS Council will cooperate with various central government ministeries and State / UT governments who have already launched their own Health Protection Schemes for their own defined set of beneficiaries. There is a critical need to converge these schemes to achieve improved efficiency, reach and coverage. — Cabinet Committee approves moving amendments in the “Surrogacy (Regulation) Bill, 2016”. This bill proposes to regulate surrogacy through establishment of National Surrogacy Board at the central level and State Surrogacy Board / Authorities in States / UTs. This bill prohibits commercial surrogacy but allows surrogacy for the needy infertile couples. — Cabinet Committee also approves the inclusion of Parivara and Talavara Communities in the List of Scheduled Tribes (ST) in Karnataka. — The other decision was to approve the North East Industrial Development Scheme (NEIDS), 2017 with an outlay of Rs. 3000 crore till March 2020. — Moreover, govt. will continue Rashtriya Uchchatar Shiksha Abhiyan (RUSA) Till March 2020. — Cabinet Committee has also approved “Integrated Scheme for Development of Silk Industry” for the next 3 years (2017-2020). — Central Govt. also approves the Revision of Energy Norms under the New Urea Policy. — Furthermore, Cabinet Committee also approves revision of agreement between India and Qatar for the avoidance of Double Taxation and for the prevention of Fiscal evasionwith respect to taxes on income. ayushman bhart me dusre ke rashan me kisi our ka name khul raha hai. kya yahi ayushman bhart hai . AH-NHSM STILL IN BHARAT NO HOSPITAL ARE AVAILABLE. HOSPITALS ARE NOT MANAGED IN GOOD ENVIRONMENT AND HYGENIC. DOCTORS ARE LESS IN BHARAT. AGE FACTOR OF BHARTIYA AVERAGE 55 AS PER MY KNOWLEDGE. BHARAT HIGH POPULATED AREA DUE TO CASTE AND REILGION. POPULATION PROJECT OF INDIA LOST ITS FAITH. I BUILT PPP PROJECT BUILDINGS IN KARNATAKA 20 YEARS BACK ARE THEY DELIAPALATED. I SUGGEST 24X7 DUTY BOUND HOSPITALS NEED FOR BHARAT. WITHIN PERIMETER OF 2 KM WITH GOOD ACCESS OF ROAD IN THE INTENSILY POPULATED AREA OF 150 BEDEED HOSPITAL NEED BY GOI. PRIVATE HOSPITALS TAKE TECHNOLOGY FROM ABRAOD WE GOI GOK WILL TAKE HIGH TECH MACHINES AND GOOD KNOWLEDGE DOCTORS TO MISSION SUCCESSSFUL. what will be the EMI for this scheme?